Delivery Slip, a powerful, secure, cloud-based communications and information management solution that enables regulated and non-regulated organizations to effectively protect, control, and manage communications. At its core, Delivery Slip makes it simple to send and receive secure messages directly within email apps (including Outlook, Office 365, and Gmail) and using existing email addresses. There’s no complex installation required, it takes minutes to set up, and is fully functional on mobile devices. In addition, Secure Email Messaging’s robust feature set enables real-time message tracking and control, large file transfers, secure e-signature validation, and regulatory compliance and archiving capabilities. 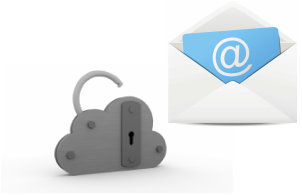 Email Encryption - Send, receive and track secure corporate messages and attachments using any existing email address or platform. Delivery Slip - Embeds in Outlook, Office 365 OWA or other email clients to provide detailed, real-time tracking and notifications of emails with 100% accuracy. Send secure large files - Share large files up to 5 GBs quickly and know in real time when and how information was received.